You are here: Home / Coloring Pages / What Would You Do If You Could Not Fail? 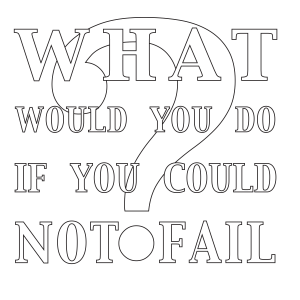 Really, what would you do if you could not fail? It is good to keep this in mind any time we are a little scared of making a change. Sometimes, though, it is not about fear of failure, but fear of succeeding. Either way can take us out of out comfort zone, and whether success or failure, that can be scary.